Default to Open – Hobson's Blog – A blog about Data Science, Python, AI, ... basically life. As a developer or a business decision maker you decide whether to open-source your code with every push. You can either “default to open” or try to justify your intellectual property protection decision, weighing the pros and cons of each major decision with a “Show me the Money” approach. This article is for the “show-me-the-money” manager in you. What is the value of your closed source, proprietary data intellectual property? It all boils down to how much people are willing to pay for a service based on the software and how much it would cost a competitor to spin up a service to provide to those same customers–demand and supply. That supply side of the equation is what I think most show-me-the-money managers tend to get wrong. They tend to worry that open sourcing the software makes it easier for someone duplicate your service. Duplicating your business simply becomes a matter of duplicating your deployment and development process going forward, as you evolve your software and serve your customers. Once a competitor has that, they can undercut your price and lure away your users. Don’t forget the customer aquisition cost. A user base is the most difficult thing for a competitor to clone. You have a brand, a reputation, and your customers have already gone through the hassle and leap of faith to give you their money. And it’s usually possible for you to make that customer acquisition very difficult for your competitors by taking advantage of the network affects inherent in your product and your marketing. If your users are sharing the product with their friends, or they are interacting with their friends in some way using your app, then your competitor can only aquire users in large chunks, niche markets that maybe you’ve neglected. 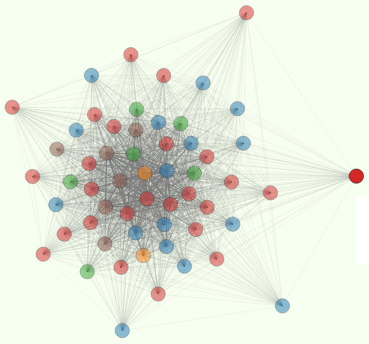 They have to find and convert isolated (disjoint) set of users in their social network graph. And don’t make the mistake of valuing your software based on how much it cost you to develop it. If you are exposing the behavior of your software to the public in any way, as you must if you provide a service to customers, competitor can use your product as a high-fidelity “wireframe” of your software. So they can short-circuit all your market research and design effort, and probably even take some architecture shortcuts, knowing what you (and they) know now about the features that are important. So try to estimate what it would take your competitors to build your software. This is the maximum value your closed source software has to your business. In the modern world, with so much automation of software development, maintenance and deployment processes, this maximum value is quite low for most efficient startups. And there’s another ceiling on your closed source software valuation that might make the disadvantages of your default-to-closed approach more obvious. You can calculate the value of your customer base by estimating how much they are willing to pay for your service or software “seats.” You need to also add in your customer organic growth rate, subtracting off some optimal, small amount of marketing expense required to maintain that grown. The present value of that revenue stream is the business value of your service. Now the tricky part is estimating how much differential there is in that value based on a closed-source model vs open. If your product is currently proprietary, closed source, you estimate how much your customer growth rate might increase if you improve “good will” by open-sourcing the software and data. You can safely ignore the impact to your growth rate by competitors siphoning off your customers, as long as you think you can get far enough ahead on the network effect to discourage competitors within the niches that you initially serve. And you can conquer any niches your competitors serve once you discover ways to exploit a global customer base, and their data, to expand into those niches your competitors dominate. For many applications this customer confidence and good-will boost for open source is a big win. Customers like to know that their data that they’ve given you is going to be avaialbe to them down the road, no matter how your business might change or how you might change your pricing structure. Consider the big win for Slack when they promised up front to never ever charge you to use their basic free product with very limitted restrictions. Now their software is closed source, and they have an insurmountable network-effect advantage over almost any competitor that might clone their software and business processes. And think of Kickstarter or Gofundme projects. The most well-funded are usually open source, open design, open data–open across the board (there are huge exceptions of course, like the utlra-hyped Star Citizen game). And an open source project has the unexpected advantage of a developer community just waiting to be related to. This community can be a source of new feature ideas or actual code that you can incorporate into your software. Developer communitites are difficult to build and maintain, but often it can mean the difference betwen sinking or swimming, especially for products focused on developers, or technically-savy customers, like Puppet or the various Google machine learning software prioects and APIs. As you know, your ideas are much more valuable if combined with the ideas of other. Leveraging the wisdom of the crowd and your customers is a tried an true way to improve your personal and business intelligence. Leadership is about connecting to your team, even if your “team” includes your customers and developers that yoru organization doesn’t directly compensate with a paycheck. What about your data? Well the same approach applies there. How hard would it be for a competitor to acquire you data. If you data is mostly user-generated, and that’s where I lot of your business value is hidden, then open source often has a big advantage here. If an open source approach has a reasonble chance of nudging the adoption rate needle just a tiny little bit, the compound growth rate of your user base and user-generated data will quickly have your default-to-open product value accelerating out ahead of any closed-data approach you can come up with. So the next time you ask someone to “show me the money,” make sure you (and they) do the math correctly. In most cases, at most stages of startup growth, open will win, hands down. So why not just “default to open,” and save your precious startup bandwidth? You can spend that time brainstorming with your customers and contributors about how to improve your product and grow your customer base, your community. Thrive with the hive. Software and data is quickly becoming a commodity. Don’t shackle your vision to a narrow-minded commodity valuation.